Alcoholic bubble tea? Craft beers? Speakeasy bars? Singapore is no stranger to alcohol trends. Every year there’s one that takes over the island, and soon, the wine scene may show its innovative and quirky side. Singapore has an increasingly large wine community, and possibly, it will lead the Asian wine market in the forthcoming years. Concurrently, there is an ever growing local movement towards sustainability, so I don’t see why the two shouldn’t meet in the middle. I recently read about Ecofass-Vin, a wine in kegs concept that is being developed in Switzerland. For a country that attempts to embrace innovation and sustainability at the same time, this looked like a trend Singapore could embrace. 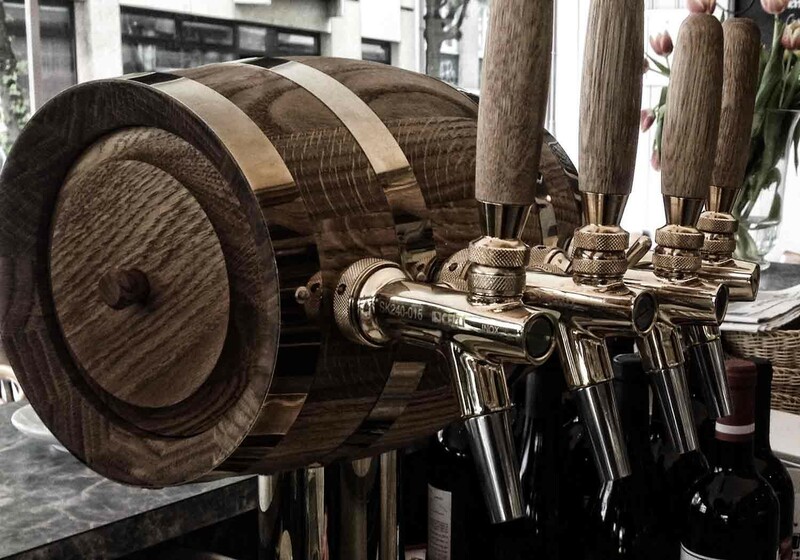 The Ecofass project has created a wine on tap concept using kegs. Although strange at a first glance, it may become one of the most groundbreaking ideas to have emerged from the wine industry in years. You may be wondering if quality wise it’s worth it. Well, kegs preserve the taste and quality of wine in the same way bottles do, and considering the environmental benefits of kegs, why shouldn’t this be embraced? One 20 liter barrel of wine replaces 30 glass bottles for starters. But the waste created by the wine industry doesn’t end there, there are the corks, labels and wine boxes that all end up being thrown away. Adopting the use of kegs would lower the carbon footprint of the industry as a whole, while lowering costs as well. As a F&B concept, it is full of potential. Having kegs of different wines would allow consumers to have tasting sessions by the glass which would then help them make decisions on what bottles to buy. This only adds a new layer to the experience of wine drinking. As for restaurants, it would increase their wine by the glass options which are increasingly in demand. In France, Ecole hôtelière de Lausanne (EHL) research has highlighted a growing consumer interest for both kegs and wine by the glass. Ecofass is not currently in Singapore, but who knows, wine by the keg may be a trend that will catch on soon and we will be waiting arms wide open.